This entry was posted on Wednesday, November 17th, 2010 at 8:14 amand is filed under . You can follow any responses to this entry through the RSS 2.0 feed. You can leave a response, or trackback from your own site. sometime you let him have the couch! I love sitting by the fire, too! Some wine, a cozy throw and a good book or good music or a good movie…that’s all I need to be happy! I love an open fire. We used to have a real log fire in our home in CT but after we moved to VA we now have a gas fire place that comes on at the flick of a switch. 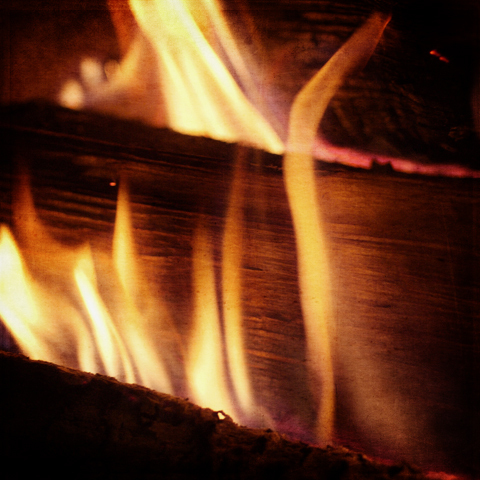 I miss the mess that came with making a real fire, the crackle of the logs, the smell, the intensity and losing myself in the warmth of it’s flames. I can feel the heat emanating from the photo. Kelly ~ I think others will agree with the following statement: Your words are always dynamic! Every now and then, you need to give your dynamic side a rest. A warm fire, a good book sounds perfect! This is one of the most soothing things I have read all day. I love it. Oh, the fire looks so cozy. Great post! a hermit and a homebody….me too !…big time ! and did i tell you there’s a fireplace in a cottage down south that could use a fire master in january….. I live in an area that loses its power every time the wind picks up. How I wish I had a fireplace or a wood stove. The flames are mesmerizing and the crackling sounds are music to my soul. I love a fire, and I’m actually a hermit and homebody, too. Beautiful post. This really conveys warmth. Lovely shot!